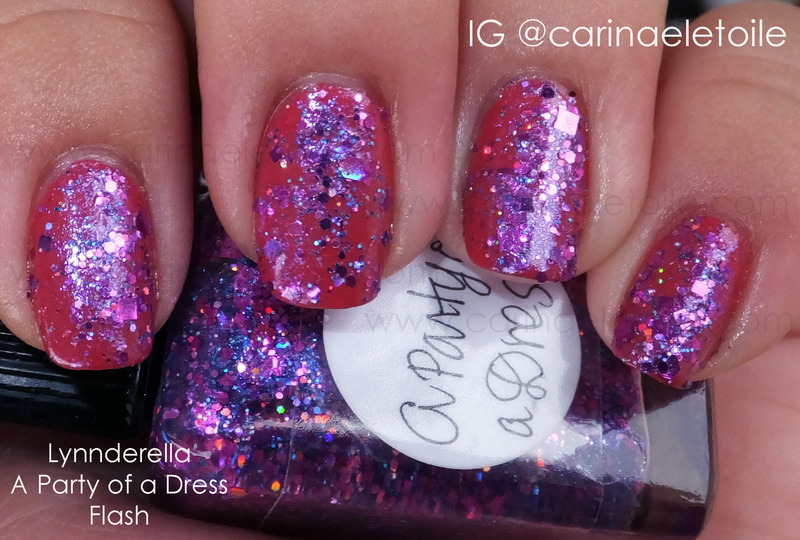 Lynnderella Love Potion No 99.9 is this incredible glitter explosion. It’s crazily, densely packed. Formula was great – 2 coats that were more than adequate. 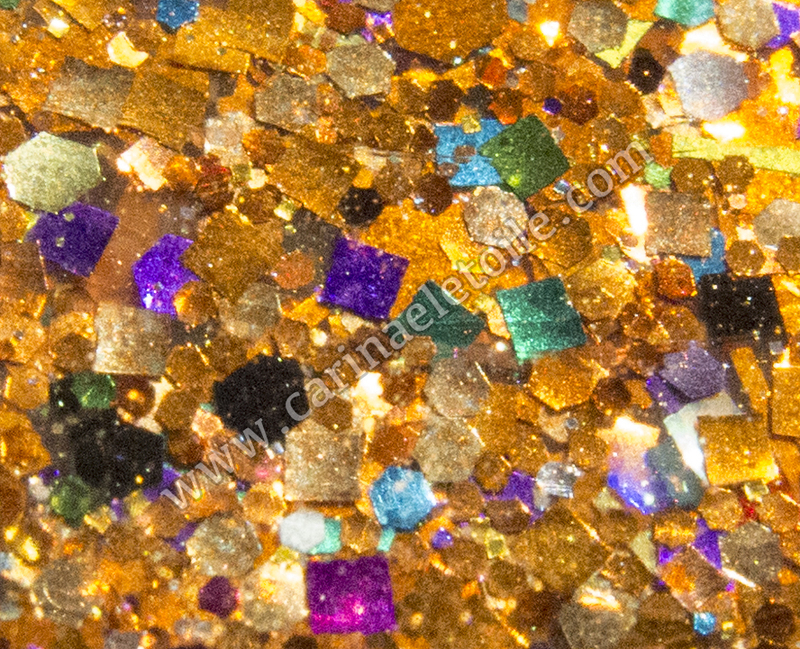 Plus, this dried so quickly it was unbelievable…I used Lynnderella’s Glitter Tamer to try and tame the glitter. 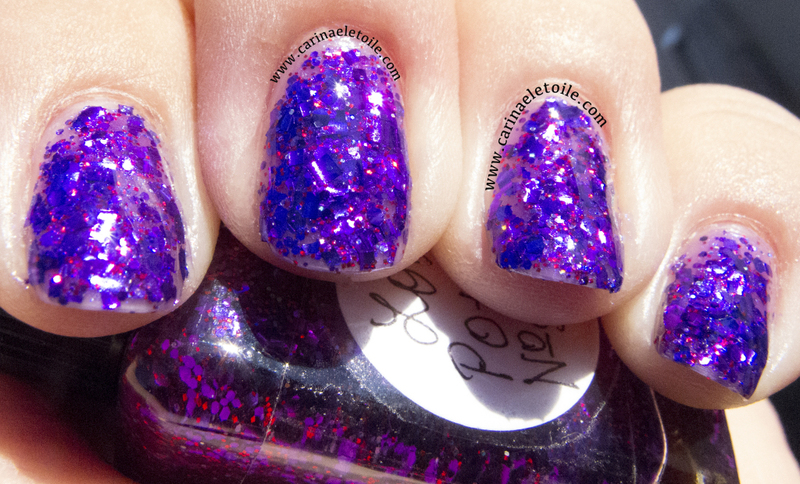 Glitter Tamer tamed Lynnderella Love Potion No 99.9. However, it’s still a little lumpy. 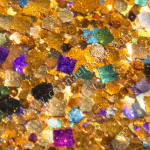 It happens with glitter. 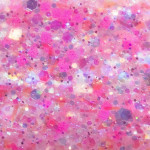 So much glitter freaked my camera out! 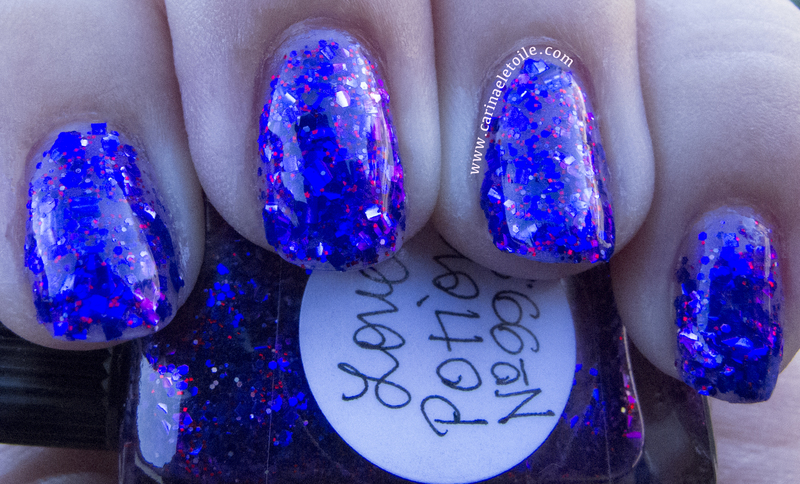 Lynnderella Love Potion 99.9 confused my poor camera – it can’t deal with purple/blues. The color looks so distorted in the shade shots, but the one good shot I was able to get in the sun below totally ROCKS IT. It’s so pretty, though. I like the shade shot, too! 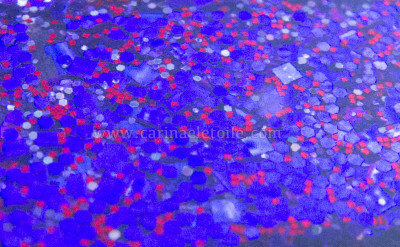 Even this sun shot isn’t truly representative of the fabulosity that is Love Potion No 99.9. It’s lumpy on me because I’ve got such tiny nail beds. BOO. 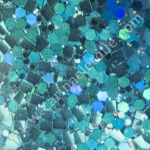 Nail art is virtually impossible on me, but I do try here and there.